Sulwhasoo is a brand that I've been a fan of for a number of years, I particularly like their Snowise Brightening range. The Sulwhasoo Snowise Brightening Cleansing Foam is one of my favorite all time cleansers and a staple in my skincare routine. I was recently sent two of the latest additions to the brand's vitality collection - Sulwhasoo Concentrated Ginseng Renewing Water and Renewing Emulsion which are designed to restore youthful vitality by restoring moisture, supporting elasticity and increasing the resiliency of skin. Sulwhasoo is a leading South Korean prestige beauty brand under the umbrella of the Amorepacific Group. In 2018, Song Hye Kyo became Sulwhasoo's first ever brand ambassador/muse. The stunning actress who was previously the face of Laneige was chosen for her charm and positive image. The brand also felt that she could effectively communicate it's heritage and philosophy of harmony and balance between the traditional and the modern around the globe. Song Hye Kyo's timeless, natural and youthful beauty is legendary and one of the few that I personally find truly aspirational. Just look at this photo of her flawless makeup free face! 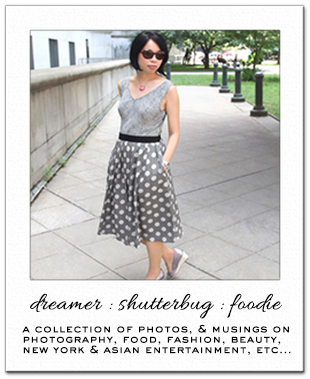 While her beauty routine is comprised of a number of Sulwhasoo products, she is partial to the ginseng range. The Concentrated Ginseng Renewing Water, is the first product she uses to restore moisture to her skin after washing her face. If you're interested in learning more about Hye Kyo's views on beauty, working with Sulwhasoo and how she finds balance in her life, check out this interview. She has such a healthy and down to earth outlook on things. Sulwhasoo is the first luxury beauty brand to take a holistic approach to skincare in combining cutting-edge technology with time tested skincare practices from traditional Korean herbal medicine. Sulwhasoo believes in a philosophy rooted in ancient wisdom that centers on treating the root cause of imbalance to restore skin's youthful health and vitality. The brand's range of skincare, makeup and beauty products, all formulated with traditional ingredients in combination with modern technology, are shining embodiments of this philosophy. A signature ingredient is high quality Korean ginseng which is also known as the "root of immortality." The ginseng in Sulwhasoo products is exclusively cultivated in AmorePacific’s own herb farm. 52 years of research has gone into discovering the impressive and potent skincare benefits of ginseng which include long lasting moisture, the ability to increase circulation and collagen production as well as anti-inflammatory and antioxidant properties that help to protect skin from free radical damage. Sulwhasoo Concentrated Ginseng Renewing Water is a rich anti-aging toner that works to replenish skin with moisture while preparing the complexion for the application of skincare products. Using cutting edge technology, ginseng water which helps provide moisture and a firm appearance is condensed into Steamed Ginseng Water Concentrate™ to create this proprietary formula that restores firmness and resilience through rich hydration and nourishment. Water / Aqua / Eau, Glycerin, Butylene Glycol, Glycereth-26, Alcohol, Betaine, Panax Ginseng Root Water, Glycerylpolymethacrylate,Bis-Peg-18 Methyl Ether Dimethyl Silane, Propanediol, Hydroxyethyl Acrylate/Sodium Acryloyldimethyl Tauratecopolymer, Peg-60 Hydrogenated Castor Oil, Caprylic/Capric Triglyceride, Behenyl Alcohol, Polyglyceryl-10pentastearate, Glyceryl Caprylate, Fragrance / Parfum, Cetearyl Alcohol, Acrylates/C10-30 Alkyl Acrylatecrosspolymer, Tromethamine, Methoxy Peg-114/Polyepsilon Caprolactone, Disodium Edta, Xanthan Gum,Ethylhexylglycerin, 1,2-Hexanediol, Adenosine, Sodium Stearoyl Lactylate, Honey / Mel / Miel, Cetearyl Glucoside,Beta-Glucan, Lilium Candidum Bulb Extract, Rehmannia Glutinosa Root Extract, Paeonia Albiflora Root Extract,Nelumbo Nucifera Flower Extract, Polygonatum Officinale Rhizome/Root Extract, Sorbitan Isostearate,Polysorbate 60, Hydrolyzed Ginseng Saponins, Linalool, Hydrogenated Lecithin, Phenoxyethanol, Caprylyl Glycol,Dextrin, Theobroma Cacao (Cocoa) Extract, Benzyl Benzoate, Potassium Hydroxide, Acetic Acid, Bht, Tocopherol. Packaged in a heavyweight opaque bisque colored glass bottle with a twist off copper colored metal top, Sulwhasoo Concentrated Ginseng Renewing Water is clear in appearance with a silky almost gel like texture. It is meant to be used as the first step after cleansing as a toner. The suggested application is to dispense the product on the palm of your hand and use your fingers to gently spread on your face from the center of the face and outward. This is actually how I apply my toner products with the exception of my exfoliating toner which I use a cotton pad for. The product has a light ginseng scent that anyone who is into hanbang products would probably appreciate. I don't love it but I don't mind it either. It has a slight cooling and soothing sensation on my face and sinks in almost instantly, leaving my skin feeling toned, refreshed and hydrated immediately afterwards without any stickiness. The rich texture of this product makes it ideal for the 7 Skin Method which I personally love and is great for boosting hydration during the winter. After using the Sulwhasoo Concentrated Ginseng Renewing Water in tandem with the Sulwhasoo Concentrated Ginseng Renewing Emulsion for a month, I've seen a difference in the smoothness and elasticity of my skin. Like it seems more bouncy. I asked my husband if I was imagining things and he thought so too. My only gripe with this is that the teeny tiny opening make the product a tad difficult to dispense. I often have to turn it upside down to get anything out. 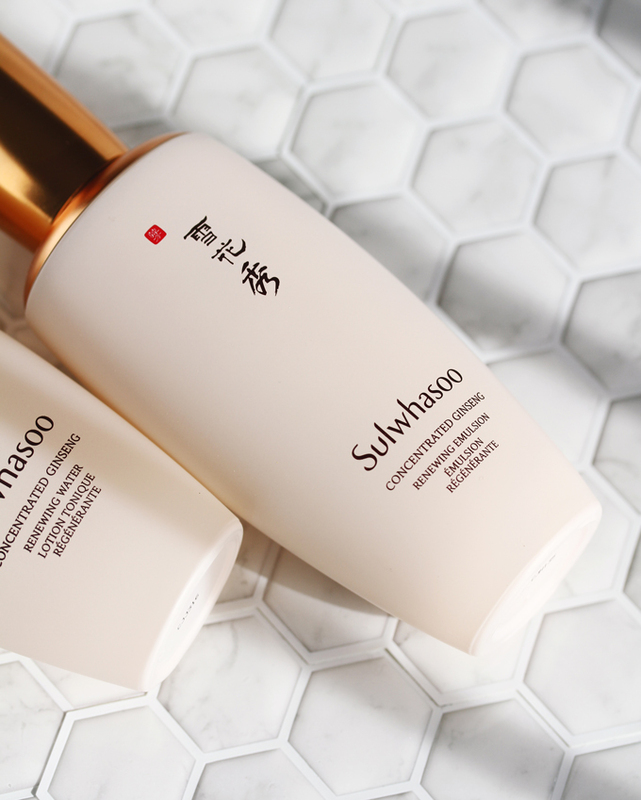 Sulwhasoo Concentrated Ginseng Renewing Emulsion is anti-aging moisturizer that works to replenish skin with a long-lasting, smooth layer of moisture. It contains the same star ingredient Steamed Ginseng Water Concentrate™as the Concentrated Ginseng Renewing Water. It supplies the skin with a dose of nourishing intense hydration while promoting firmness. Water / Aqua / Eau, Butylene Glycol, Glycerin, Panax Ginseng Root Water, Pentaerythrityl Tetraethylhexanoate, Hydrogenated Poly(C6-14 Olefin), Dimethicone,Butyrospermum Parkii (Shea) Butter, 1,2-Hexanediol, Polyglyceryl-3 Methylglucose Distearate, Dimethicone/Vinyldimethicone Crosspolymer, Carbomer, Hydrogenated Vegetable Oil, Glyceryl Stearate Citrate, Cetearyl Alcohol,Glyceryl Stearate, Hydroxyethyl Acrylate/Sodium Acryloyldimethyl Taurate Copolymer, Fragrance / Parfum,Tromethamine, Stearic Acid, Methoxy Peg-114/Polyepsilon Caprolactone, Xanthan Gum, Palmitic Acid, Disodium Edta,Adenosine, Honey / Mel / Miel, Hydrolyzed Ginseng Saponins, Lilium Candidum Bulb Extract, Paeonia Albiflora Rootextract, Rehmannia Glutinosa Root Extract, Polygonatum Officinale Rhizome/Root Extract, Nelumbo Nuciferaflower Extract, Phenoxyethanol, Linalool, Sorbitan Isostearate, Polysorbate 60, Theobroma Cacao (Cocoa)Extract, Dextrin, Benzyl Benzoate, Myristic Acid, Ethylhexylglycerin, Alpha-Isomethyl Ionone, Limonene, Lauric Acid. Sulwhasoo Concentrated Ginseng Renewing Emulsion is housed inside a heavyweight opaque bisque colored glass bottle with a metal top and a pump dispenser. It is meant to be used following the Ginseng Renewing Water to provide an even richer barrier of moisture. This emulsion has the consistency of a lightweight, viscous lotion. It has the same ginseng scent as the water, only less intense. I've been using it prior to my serum. It absorbs quickly and completely without feeling heavy or sticky. This product is lovely especially during the winter when my skin tends to get even drier. It's the perfect extra layer of moisture and I feel like prolonged usage along with the Ginseng Water has actually strengthened my skin's barrier, making it more supple, resilient and resistant to dryness. The boost in circulation from these products has also given my skin more of a natural glow. Since these products are on the pricey side, if I could only have one, I'd choose the Ginseng Water over the Emulsion. I just love how it makes my face feel right after washing and helps to prep my skin to absorb the products I layer afterwards. These products worked really well for my skin and Sulwhasoo is definitely a brand I plan to get to know better. Their products might be a little expensive but I'm okay with that given that they use high quality, beneficial ingredients and as long as they're effective. And they also deliver on that high end luxury experience. It's no wonder Sulwhasoo is a leading brand in Korea. Their signature First Care Activating Serum and Overnight Vitalizing Face Mask are next on my list to try. So while I'll never look like Song Hye Kyo, I can use the same products she does haha. Her hair in Encounter inspired my latest haircut which I'm loving. There's something so youthful about full bangs. Check my Instastories for a look! 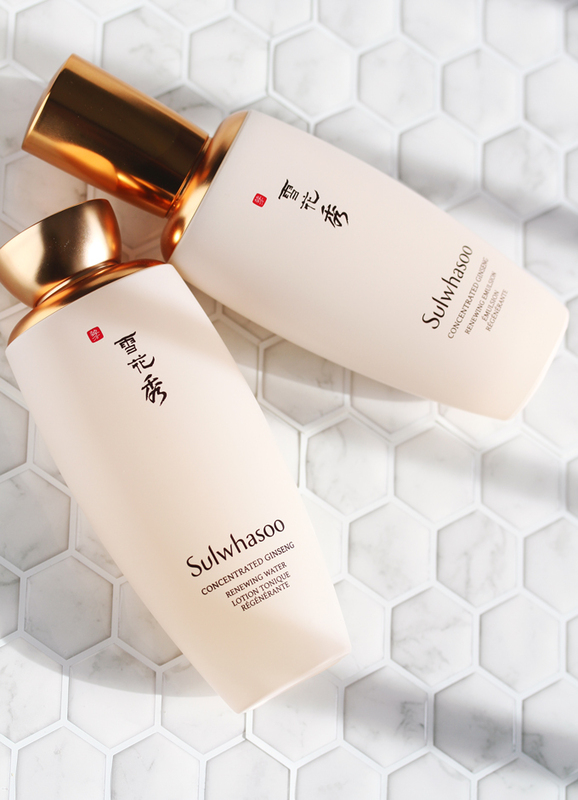 Sulwhasoo Concentrated Ginseng Renewing Water and Concentrated Ginseng Renewing Emulsion and the range of Sulwhaso products can be purchased from Nordstrom, Neiman Marcus, Bergdorf Goodman, Bloomingdale's and Beautytap as well as the Sulwhasoo website. 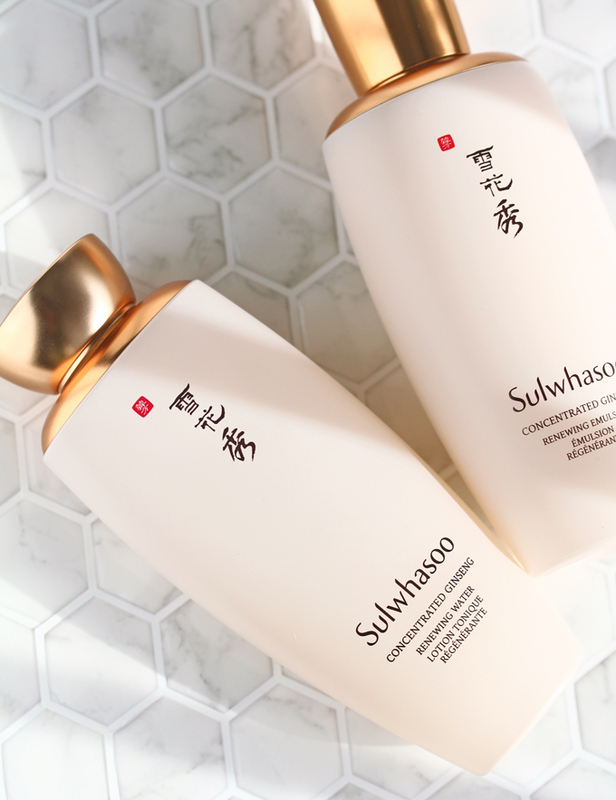 Have you tried any Sulwhasoo products? Any favorites? I had never heard of Ginseng before K-Dramas. Most of what I know about it has came from shows, but I had no idea it could also be used in skincare. I've been wanting to try Ginseng so maybe a foray into skincare is a great start. The Ginseng Water would probably be my preference too. I don´t mind spendin more on skincare either, if the brand delivers, and from your report I am convinced this is a line I would enjoy as well. I just had chicken and ginseng soup the other day and know it's supposed to be great for the skin. I didn't realize it could be used externally too. If it works for winter skin, it's definitely worth it! I think Song Hye Kyo is beautiful and actually seems to be an ideal choice for the brand. I have not used this but I am very aware of Sulwhassoo products. I use ginseng a lot growing up, and more recently collagen but in drinkable forms. This sounds like a great product to try, aside from the tiny opening. :) Thanks for sharing, Rowena. Adorable haircut as well. I'm pretty low maintenance so I like no-fuss hair styles. I had not heard of this line but I have heard of the parent company. The products sound excellent though a bit pricey for everyday. Though if one picked one the products to help with a specific problem and used it with a daily routine of less expensive products it could totally work! Had never heard of them before but thanks for sharing. It sounds very good this facial, I think a month is a prudent time to talk about the results, the packaging is luxury, Son Hye Kyo as an image of the brand I think is great because his complexion looks impeccable to the natural. Kisses! I don't mind splurging on skincare products. I haven't heard of this brand before, but the products sound promising! This products look so so good- I wish to try them. I don;t know this brand. Song is definitely a good brand ambassador. I like what she said about the importance of bringing together tradition and modern times. I think a lot of progress has been made, in the terms of science of skincare, so it would be a shame not to use the research and development facilities that exist today. At the same time, traditional skincare is filled with centuries of recipes that actually and have been proven to work so it is something that shouldn't be ignore. The ideal brand is the one that brings the two together. A brand that uses natural ingredients but it dedicated to research seems like an ideal brand to me. Ginseng is often advertised as the magical ingredient and I heard great thing about it, but I have never tried it in skincare. These products you reviewed sound lovely. If a skin product does good to our skin, then it is worth investment. I've heard great things about Sulwhasoo and always wanted to try out their products. It's great that their products worked well for you :)! Oh wow ginseng as skincare will love to try. I'm a big believer always splurge on skin care. Have a great weekend. I love Sulwhasoo's use of hanbang and how beautiful their formulas feel, but unfortunately their products seem to be a hit or miss for me. The First Care Actviating Serum didn't do anything for my skin, but I adored their Overnight Vitalizing Mask! But I love how relatively more affordable the mask is too!